In recent years, Givat Shmuel has become a popular destination for young professionals and families. Located in the center of Israel, Givat Shmuel is flanked on all sides by major highways which allow convenient travel to other parts of the country. 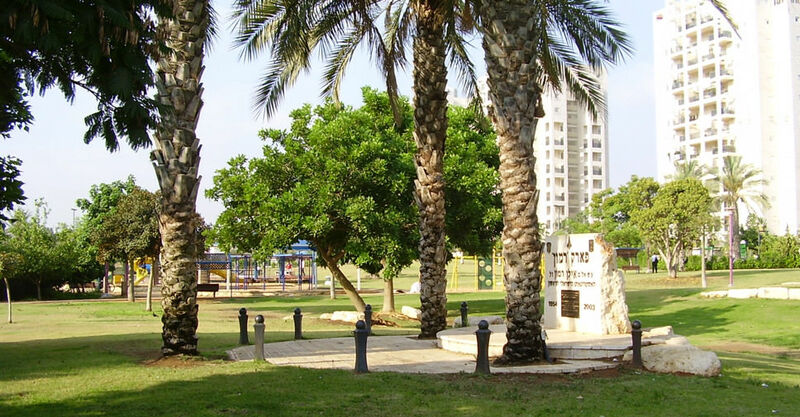 The city is undergoing a process of development and expansion, and it’s population is expected to rise from 26,000 to 40,000 with the establishment of two new neighborhoods – Ramat Hadekalim to the north and Ramat Hadaer the east. The city’s socioeconomic standing is classified as 8+ out of 10, and the residents are a mix of secular and observant, young and old, veteran Israeli’s and new immigrants. Most residents work in the greater Tel Aviv area, but there are employment opportunities even closer to home, as well. Bar Ilan University is located adjacent to the south-western edge of the city. There are also three major hospitals which surround Givat Shmuel: Sheba Hospital to the south, Tel Hashomer (Ramat Gan) and Rabin (Beilinson) Hospital to the east. The city council is establishing new centers for commerce and employment. One of these planned centers will cover an area of 100,000 square meters, to be used for commerce, biotechnology and high-tech, situated northeast of Ramat HaDekalim. A second area of 800,000 square meters is slated for future high-tech and biotechnology facilities, and the third is located along the eastern side of the Geha Road, on the border of Petah Tikva. In addition to the mall which was recently built in Givat Shmuel, two more are in the process. In terms of academics, Givat Shmuel is amongst the highest achieving areas in the country. High school students in Givat Shmuel generally score well on the high school matriculation examinations, and have a success rate that is among the highest in the country. There are 3 boy’s high schools to choose from, with the Bnei Akiva yeshiva in neighboring Bnei Brak absorbing the largest number of students from English speaking modern Orthodox homes. Two girl’s Ulpanot high schools, are also located nearby, with Amit Ulpana accepting the bulk of new Olot. In primary school education, too, the city has attained impressive achievements, far above the national mean. Givat Shmuel is represented in universities and colleges at a higher ratio than the neighboring cities, with 13.2% of the local population enrolled. The city has 44 kindergartens (21 in the state religious education system), 3 special kindergartens (2 – language, and 1 PDD) and 5 primary schools (3 in the state religious education system). The largest number of Oleh children study in Moreshet Menachem. There are two secular youth movements and a local branch of the Bnei Akiva, which is one of the largest branches in the country. The branch operates from a new, modern building, called Beit Yossi. There is a well developed bus system which goes frequently to all areas of Tel Aviv, and trains are about 25 minutes away. An Ulpan will be offered if there is significant interest. Otherwise, residents of Givat Shmuel attend Ulpan in Tel Aviv. The community center’s (matnas) activities include: enrichment and learning activities, social and cultural programs, sports (movement and dance), music and the arts. A new Cultural Center includes: a theater auditorium, community center, library, dance center and conservatory, and facilities for the Kiryat Alon youth movement. Additionally, a new leisure and sports center has been established on an area of about 32 dunams in northeastern Givat Shmuel, which incorporates tennis courts, fitness rooms, swimming pools, a roller skating rink, a cafeteria and other services. There are currently two local malls in Givat Shmuel and a water park, covering an area of about 5 dunams, is planned. The Social Services Department of Givat Shmuel aims to bring about positive change in the lives of individuals, families, groups and the Givat Shmuel community in general. All residents can apply to the department for assistance. There are three hospitals in the vicinity of the city – Sheba, Tel Hashomer, and Beilinson. Givat Shmuel is a mixed community of secular and religious Israelis. The city operates a full religious council provides service for all residents. There are two Mikvaot (ritual bathhouses) and over 30 synagogues located around the community. Due to the city’s proximity to Bar Ilan University, there is large community of university and graduate students. In recent years, there has been substantial growth in the number of English-speaking students, including a sizable population of single Olim, newly-married couples, and young professionals. The GSC (Givat Shmuel Community) is a non-profit organization with over 900 members which seeks to support the English-speaking new immigrant temporary residents community of Givat Shmuel.